Canterbury Daily Photo: Can you see it? 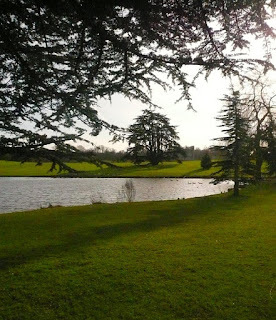 Can you see Leeds Castle behind the tree? I tried to enlarge the picture to see the castle. But not even my glasses helped me see it. Sorry. Difficult to see the castle but the park is a beautiful place. 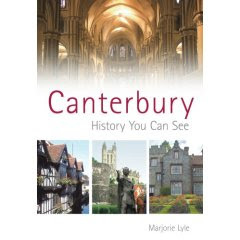 I like so much Canterbury seen by your eyes !! It's too difficult to see Rose, but I love Canterbury. I've camped there a number of times. I had a serious spot of bother taking my last picture, it was very unpleasant. I tried to enlarge the picture but it didn't work on my computer, don't know why. The lake is absolutely beautidul just the same!